As you gaze into the sparkling, sleepy eyes of a sea turtle, imagine that you’re gazing 150 million years back through history. Co-existing with our behemoth dinosaur friends long ago, there are currently 7 species of sea turtles worldwide today, with our beautiful Hawaiian islands serving as home sweet home to 5 (!) of the 7 species. While our best known and most common is the Green Sea Turtle (if you’re kama’aina, you’ll know them better as honu), the other species include the Hawksbill (or honu’ea), the Loggerhead, the Leatherback, and the Olive Ridley. But no matter which ocean you're floating in, these air-breathing marine reptiles are bound to be swimming somewhere beneath you, inhabiting ALL of our Earth’s oceans - so be sure to keep an eye out! Curious if you’re in the presence of an egg-laying female or bravado-bearing male? Well, you can easily tell the difference by their tail size, with females having the shorter, daintier tails of the two (aw)! All of these little fun facts just brush the surface of the fascinating habits & features of these hard-shelled friends of the dinos. But, if you’re ready to truly learn all the ins & outs of our two most common turtle species here in Hawai’i, get ready for all things turtle, and keep reading below! Green sea turtles hold a special place in our hearts as the ONLY native reptile species that is endemic to Hawai’i (though they’ve now found their way to most tropical or subtropical seas around the world, as well). Clocking in as the largest of the hard shell sea turtles, these impressive reptiles claim the heavyweight belt at around 150-400 pounds per turtle, despite livin' that vegan lifestyle, eating only algae and seaweed. So-named because of their green internal fat tissue (and not the color of their shell, as is commonly believed), they can rival any free diver, dipping deep down for a seafloor snooze for up to 7 hours. These turtles often migrate between nesting and feeding grounds, with the majority nesting in the Papahanaumokuakea National Monument, just past the shores of Kaua’i. It’s a long way to travel from Maui, but their long bodies (with a carapace of up to 5ft) glide effortlessly through the waves, with only an occasional surface required. So why are these Green Sea Turtles so synonymous with Maui? We think a large part is due to their extremely uncommon tendency to “bask” on the sandy shores that make up the northern beaches of the island – uncommon enough that they are the only turtle species to do it, but common enough here that it’s a frequent sight! Delighting locals and visitors alike, these lil guys & gals haul themselves out of the water on a sunshiney day, and laze about on the sand. You’ll have to travel to Hawai’i or Australia to catch a glimpse though, as these are the only two locations that have recorded this odd “basking” behavior. If you see one, you’ll know it’s a Green Sea Turtle because of its distinguishable rounded beak and two pre-frontal scales! Scientists are still a little stumped as to the exact reason for this bizarre behavior, but some believe it could serve as a way to raise their body temperatures, after being in the water for extended periods of time. Whatever the reason, it is important to ooo and ahh from at least 15ft away, in order to respect the space and natural habitats of these honu. Such beauty. Such majesty. Such adorable little faces! So next time you’re on the beach or soaking up those Hawai’i sunshine rays, give a little aloha to our honu, who frequent the warm, shallow waters of Maui's coastline – you could be waving to an 80-year-old Green Sea Turtle! The second most common turtle in Hawaiian waters is the critically endangered Hawksbill, also known to Hawaiian locals as the honu’ea. This species of turtle is particularly distinguishable by its pointed beak (hence its namesake), overlapping scutes, and the 4 pre-frontal scales that decorate its forehead. For turtle newbies: the “scutes” of a turtle are the shapes found covering its shell, which are actually bony external keratin buildup, or scales, overlaid with horn. Differing from its veggie-loving cousin honu, Hawksbill turtles actually enjoy a little more protein in their diet, snacking on fish, jellyfish (ouch), crustaceans, and algae, but sea sponges make up the bulk of their menu at 70-95%. We tip our hats off to these beautiful creatures, as many of their meals (jellyfish and Portuguese Man-o-War alike) are actually poisonous to us mere humans, but totally harmless to the Hawksbill; even the Man-o-War’s stinging cells are no match for the turtle’s armored head! Now, that's some impressive shield! The dwindling numbers of honu’ea are likely caused by many factors (we’re sure plastic pollution is one of them, ugh), but one of those is likely the fact that they only lay a nest every 2-7 years! While the nests typically contain 140 eggs, only 1% of the hatchlings ever reach the sea, with lots of airborne predators, shore crabs, and even street lamps getting in the way. YES, street lamps! The reflection of our man-made light sources often confuses the hatchlings, which are inherently attracted to the reflection of the moon on the ocean's surface. The primary culprit of the Hawksbill’s critical endangerment, however, is 100% because of our own over-harvesting. The shells of these creatures are the main material for "tortoiseshell" retail products, including sunglasses, combs, and jewelry, and as a result, has led to less than 100 adult female Hawksbills currently nesting in the entirety of the Hawaiian islands. On our Maui island home? We max out at only four (but likely less) per year, occasionally sighted off our coastal shores. Thankfully, some countries have made it illegal to hunt the Hawksbill, and we urge you to leave these sea turtles alone when you encounter them in the wild… their future hatchlings will give you all the mahalos! Females return to the EXACT same beach that they were born at, when ready to nest (we can’t even remember where we put our keys last night…). Each nest contains 150-200 ping-pong sized eggs. 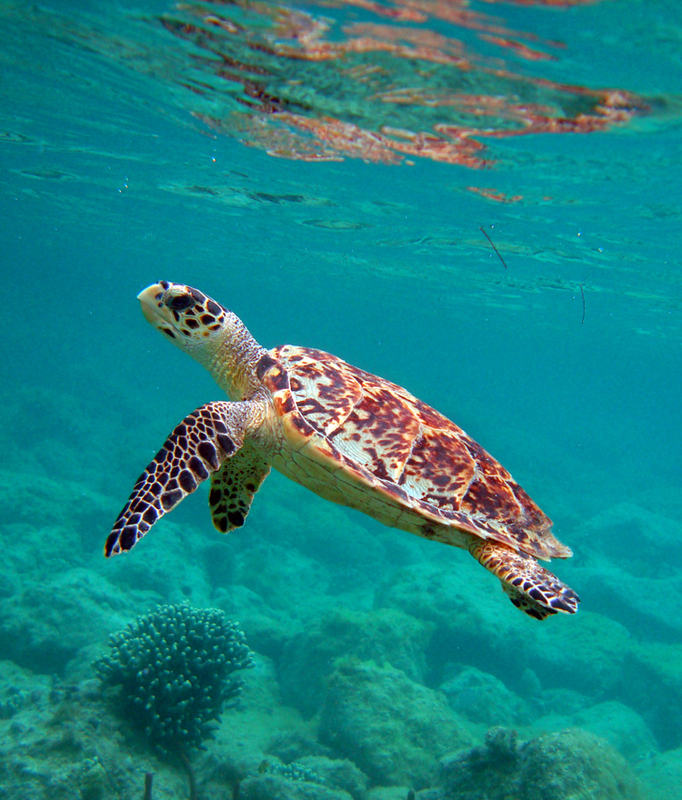 Turtle gender is determined by the temperature of the SAND – no joke. Cool sand bears males, and hot sand bears females. Westeros would have been doomed. 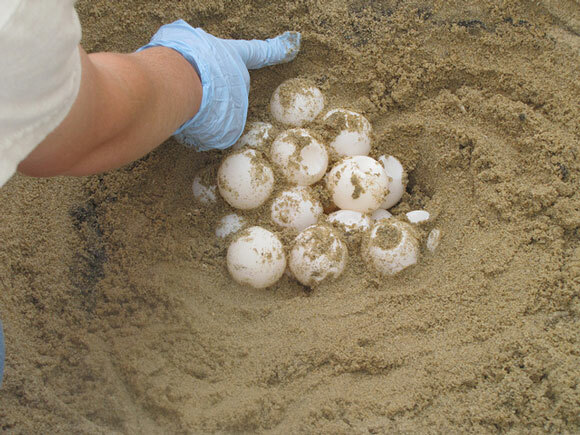 Hatchlings emerge 1.5 – 2 months after being laid by the mum turtle. The most vulnerable time for a hatchling? The mad dash into the ocean from the nest! Cats and mongoose and birds, oh my! Only 1% of hatchlings survive the gauntlet back to the sea. The incredibly teeny tininess of baby turtles make them impossible to track, earning the nickname “the lost years”. Scientists still have little to no info on where they go and what they do for this part of their lives! Only after reaching sexual maturity, turtles return closer to shores to live out their adorable little turtle lives. 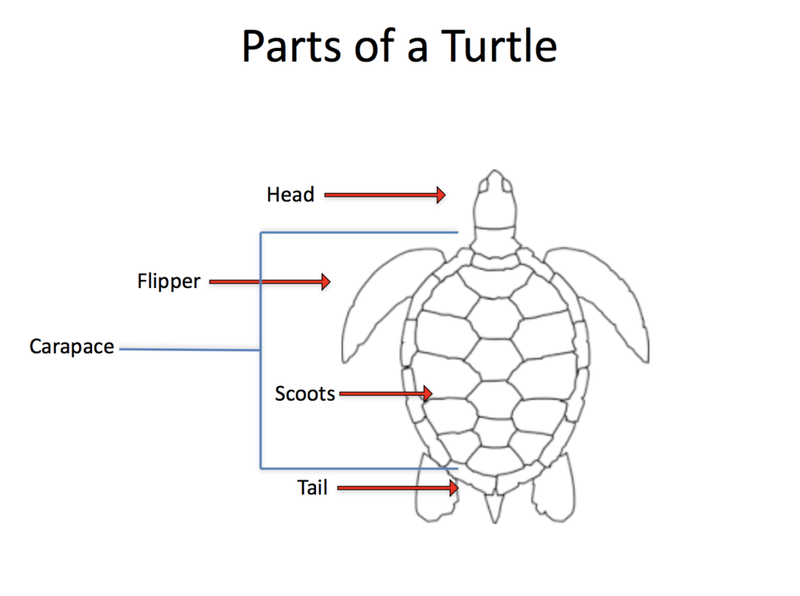 Now that your mind is brimming with all the turtle knowledge in the land, it’s important to also know how to protect these magnificent creatures from further endangerment! A number of factors pose a threat to the ocean’s turtle population, but the largest of those is (yup, you guessed it) our own doing. Turtles and their precious eggs are collected for their meat, skin, and delicate shells, but also fall prey to accidental capture in our fishing gear and discarded lines that float menacingly through the oceans. Listed under the Endangered Species Act, thankfully all sea turtles in U.S. waters are under official protection. While visions of making your own little Nemo-inspired friend might dance through your head, this means that it is illegal to harass, crowd, touch, and certainly ride (but did we really have to tell you that?) any sea turtle that you might come across. Our friends at the Hawaiian Wildlife Fund (HWF) continue to play a large role in turtle monitoring and research done in Hawaii, conducting nest watches, protecting hatchlings, and even conducting dune restoration projects. In the summer of 2017, Maui had 4 Hawksbill nests along its shores, all from the same female turtle named Orion – talk about a strong mama! In a mind-blowing feat, she laid a total of 900 eggs in that one season... we hope she took all the naps afterwards. Unfortunately threatened by a rising high tide line, nest #2 would not have made it if the HWF had not realized the impending doom, and stepped in to relocate the nest out of harm’s way. 241 eggs in total were moved and 120 of those successfully hatched, firmly solidifying the HWF’s comfortable place in our hearts. The 2017 season ended with 650 eggs hatched in total, resulting in a 72% success rate. Three cheers for the Hawksbill (and Orion - whoa, girl)! If interested, you can find out more about the nest relocation on Maui Now. Green sea turtles have always held a key role in historic Hawaiian culture, and are easily identified in drawings and ancient petroglyphs. 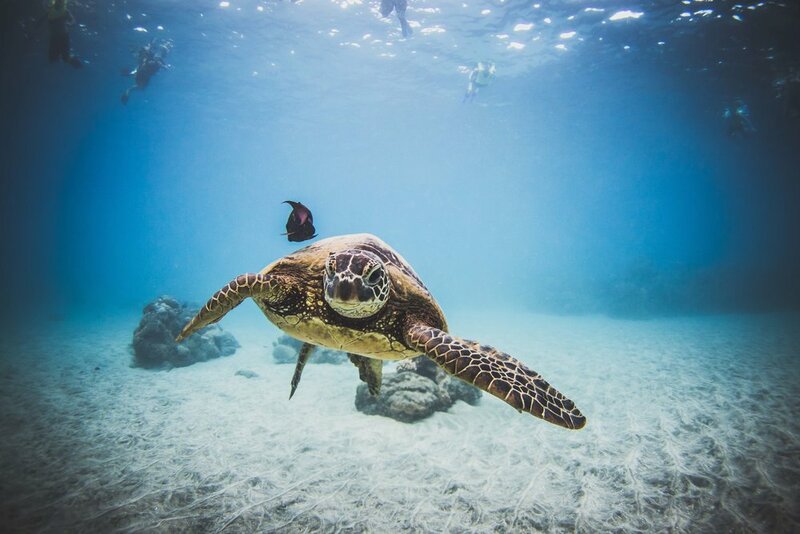 Sometimes referred to as the ancestral spirit Amakua, legend has it that a green sea turtle helped guide the first Polynesians to the Hawaiian Islands (ref 2), so not only do these creatures symbolize luck, endurance, and a long life, but they were also seen as ancient navigators. Another Hawaiian legend tells of a large honu named Kailua, who would transform into a human girl and offer protection over all the keiki playing along the shores of Punalu’u Beach. And there you have it! We hope you feel sufficiently bursting with all the things you need to know about our amazing, history-rich friends of the sea, and that you one day get to experience the thrill of seeing one in real life! 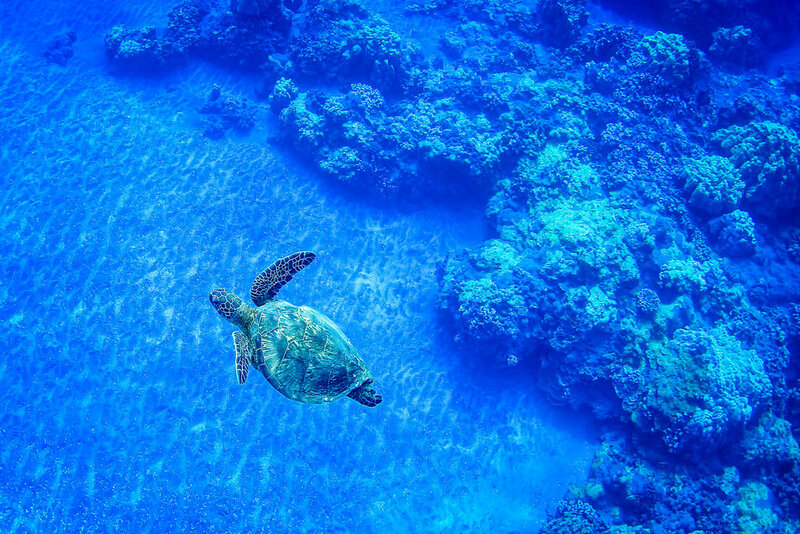 Swimming with the honu here on Maui will certainly be a highlight of your vacation, and at Trilogy Excursions, we offer many snorkeling tours that are guaranteed to get you close enough to jaw-drop - but not too close that we risk the disruption of their long-established turtle way of life! For more information on tour offerings, visit Trilogy's website! (1) Aguirre, A. A.; Lutz, P.L. (2004). 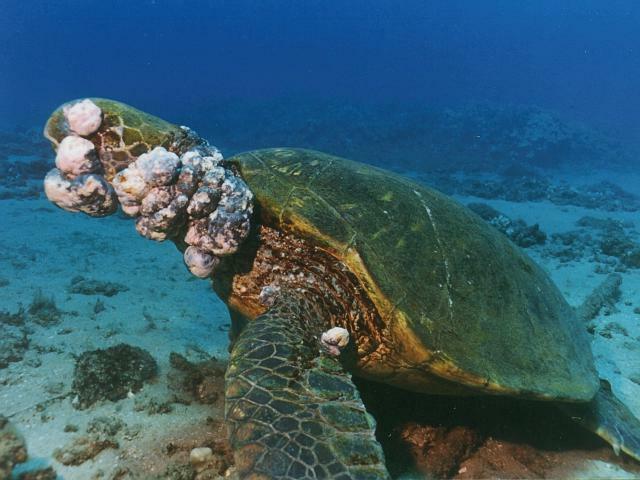 "Marine turtles as Sentinels of Ecosystem Health: Is fibropapillomatosis an indicator?". Ecohealth. 1: 275–283. (2) https://www.olukai.com/journal/the-meaning-behind-hawaiian-symbols/. 31 May 2018.